Need a fake rock to hide that unused sprinkler head? Or maybe cover that drain tile? This Outdoor Essentials® Small Rock is hollow and tall enough to hide a sprinkler head, and wide enough to cover a drain tile. 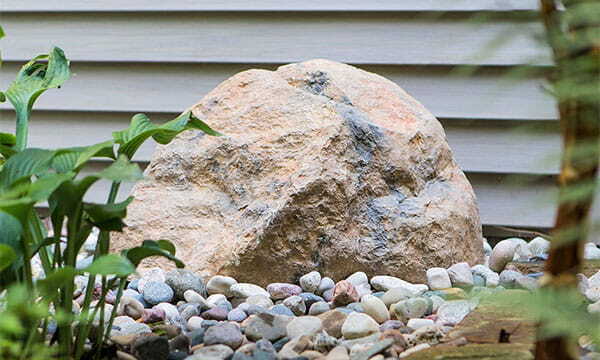 Use this rock in place of a real rock in your yard, and no one will know it is fake except for you! It is cheaper than a real rock, only weighs 4 pounds, and is easy to install. All you must do is place it where you want it. No need for stakes because of its curvilinear shape which makes it wind-resistant. This rock is perfect for the DIY landscaper, such as yourself. It may be tiny, but its durability and versatility make it a perfect rock for your yard or garden.